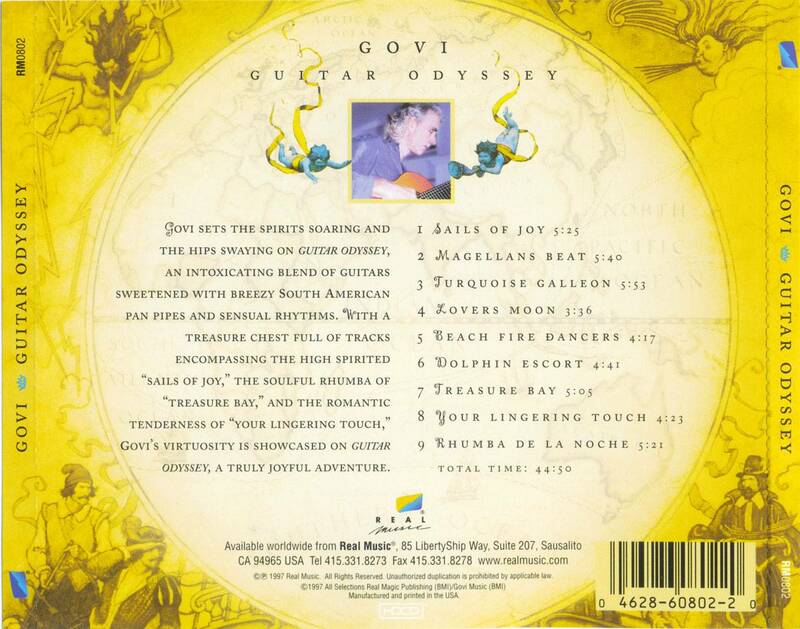 The smooth and luxurious sounds of Govi always leave me feeling tranquil and mellowed out. This is my favorite album from the guitar maven and it sounds like turquoise waters and bright corals bathed by glorious golden sun rays. This would be a perfect soundtrack to some sailing adventure in warm, tropical weather; the mystical, silky pan pipes and guitar take me far away. Govi was born in Germany but his many years spent living in India has greatly influenced his craft and his move to Hawaii has added en extra layer to the beautiful depth of his creative genius. The music is a fusion of many cultures and overall happiness and joy for life that he carries. I always feel that my mood improves when I listen to the sweet rhythms and this album will make anyone feel like they are on vacation. The sounds create an overall feeling of bathing in warm water with a soft tropical breeze lifting life's worries away. All the pieces have a similar feeling to them and I actually don't have favorites because I love them all but if I had to pick then Sail of Joy, Turquoise Galleon and Lover's Moon are my top favorites. I discovered Govi while listening to Cusco when I saw that he was listed as similar artist in the world music section. 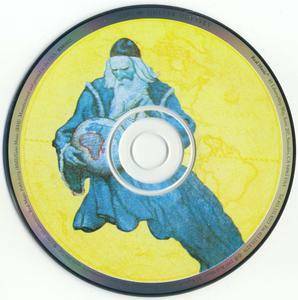 Anyone who likes New Age and World sounds will be delighted with this artist. I actually purchased Guitar Odyssey ("GO") [incidently - the first two letters of GOvi's name!] some six months ago. I admit that I've not done enough 'serious listening' to GO. Why? 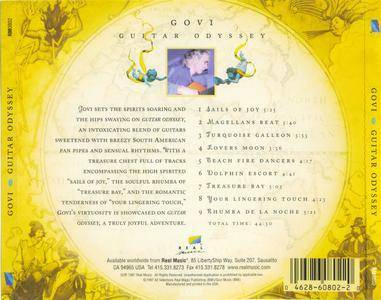 … because my listening time has been devoted to GOVI's three other albums in my inventory, i.e. "Seventh Heaven", "Andalusian Nights" and "Passion & Grace" ! 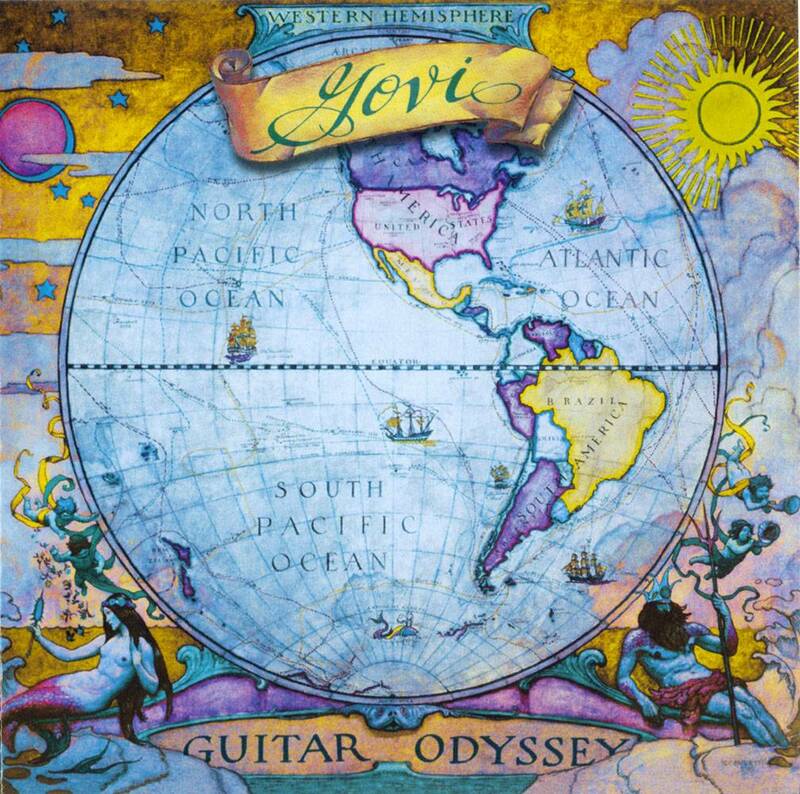 Now, after some serious listening, I'll say that GO is worth every sen ('cents' as in 'dollars & cents') and it aptly reflects it's album title of 'Guitar Odyssey'. The moods and ambiance created by GO is beyond words. It carasses your mind into a state of total relaxation with the superbly struck chords and rhythm. The fantastic timing, very well composed verses and beautiful guitar timbres are the things that make GO so special. 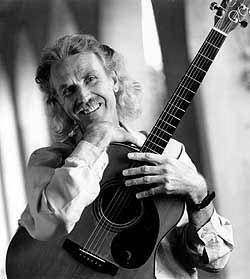 GOVI's music is the Gift of life on Earth. GO is one SPLENDID musical investment! 5-stars! Most recommended.